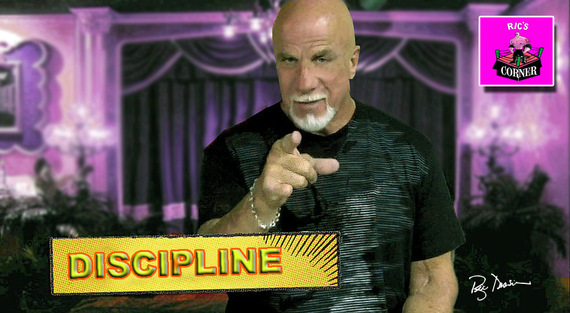 Discipline is a decision, a decision that says I will consistently do the things that I need to do to reach the objectives that I need to reach. Sometimes, it's easier said than done. The good news is that discipline is like a muscle. The more you strive to use it, the easier it will be to make discipline a part of your daily routine. Discipline becomes habitual. I was a slightly built kid growing up until about the age of 16. At that time, I was a lead guitarist in a rock band which came about very quickly as I decided that I wanted to be a guitar player. I rented one, took a few lessons and then decided that I could learn it on my own. I was gifted enough to have a good ear for music and before long could reproduce any song that I'd hear on the radio. All my free time was spent playing and practicing. I even purchased a reel-to-reel tape recorder and began taping my chord backgrounds and then playing lead along with it to improve my skills. This took discipline because it's easy to give up when you hit a roadblock. Learning chords, solos and timing is hard and there are many roadblocks or obstacles to overcome. You can't give up. You have to schedule your time and discipline yourself to do the work. Most parents have to force their kids to practice and I was told to put the guitar down and come eat. 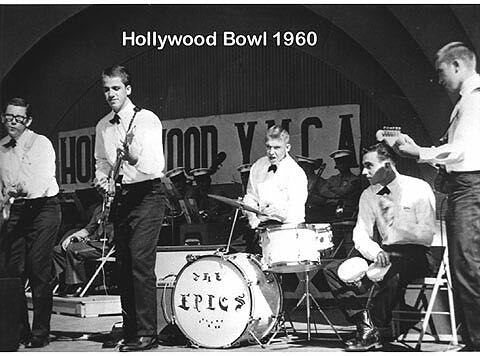 During this time, I started a high school rock band, we played in front of hundreds of fans on weekend dances at local high schools and then moved on to enter a battle of the bands in Hollywood. There we won first out of 200 groups and landed a recording contract with Capital Records. The discipline that it took to organize everyone to learn and work together was overwhelming but it was good practice in life for future things that would come into play later. At the same time, I was a fan of bodybuilding and always wanted to look like those guys in the magazines. I knew it took a lot of work, dedication, discipline and diet but was willing to give my all to it even though I had to add the time to my day along with band practice and school. This is where I learned to multi-task not knowing what that meant at the time. But I thought having a good body would add to the charisma on stage. So there I was, my first day in the gym. I cut some articles out of magazines that had workout routines and ads for protein powder that would pack on muscle as they advertised. As I began training and got through the soreness period, I could actually start to see muscle forming and my body hardening up. I worked my abs every day to get that washboard effect. I even worked them at home with my mom holding my feet down as I did sit ups. I could have quit at any time and thrown the towel in but didn't. I had a vision of an end result that I wanted and I was going for it. These are visions and goals that are necessary to achieve your levels in life that you want to attain. Without them, you have no direction, and this takes discipline! 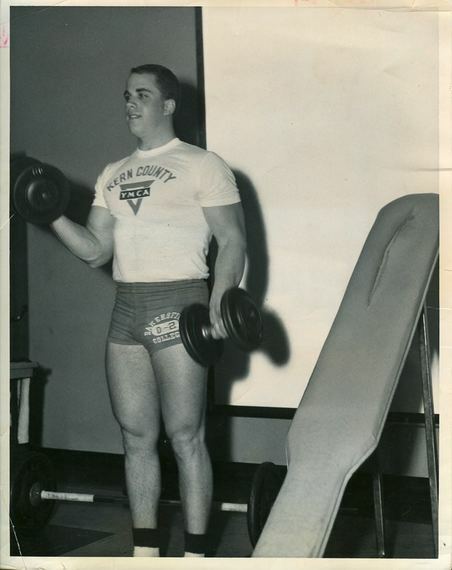 It was my senior year of high school and I was the only kid in school who was beginning to look like a bodybuilder. 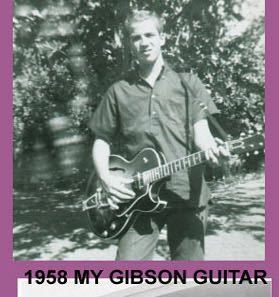 I was a handsome young guy, lead guitarist in a number one rock band and now, a body to match. Geeze, what more could I ask for? Of course some of my friends were jealous of my dedication but others were motivated by it. This was my first encounter with people that made me realize that I could actually motivate them to become better at what they wanted to achieve. My friends were impressed and enthused about my dedication and discipline which inspired them to move on with their goals. Some achieved them and others dropped by the wayside. Just recently, an old friend called me and mentioned that he was overweight and unhealthy. He's about 5 years younger than myself and was in great shape back when we trained together. I asked him why he let himself go and why he doesn't get back to the gym and help himself. His answer was, "I have no motivation since you left and no one to train with." That was over 50 years ago when I left town! He's had all that time to find himself but couldn't without me showing him the way. This is a problem with people who can't get up and motivate themselves. They just don't have the discipline and need to find it. As my training went on and I was still playing in the band, I took some physique shots and monitored my progress. I could see changes along the way and liked what I saw. my goals. I still hear this from people today who knew me back then and it always just validates what I already thought. Fifty years later at my high school reunion was the proof of the pudding that I stuck with it. My dad had gotten me interested in pro wrestling as a kid and would take me to the matches every Thursday night. Some of the guys were fat; in fact most of them were, but every once in awhile you'd see one of the wrestlers with a decent body. My mind would spark a thought that maybe this would be something that I'd like to try one day. It was funny because when we got home after the matches, my dad would chase me around and put holds on me. A few years after that, my father had passed away and I still had those memories of the wrestling matches and decided to look into it. They still had them on Thursday nights, and usually on those days a few of the wrestlers from out of town would wander into our gym for a workout. I got to know a couple of them and mentioned the fact that I'd like to get into the business. They were cool with me but it's the usual response from people, "you know, kid, it's a tough business. You're on the road a lot, you get hurt, etc., etc." Yep, I knew all that, and that just makes me want to do it more! And it takes dedication!! My favorite word. I was directed down to the Olympic Auditorium in Los Angeles, which was a 2-hour drive from my home. 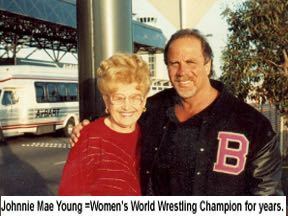 I went down and met with the Women's World Champion, Johnnie Mae Young. She took me into a makeshift ring and proceeded to throw me around to see if I could handle it. Yeah, it hurt, it was different, but I caught on and signed a contract to have her train and manage me. They didn't have anyone with a body like mine and it was to their advantage to get me started. I began my training 4 days a week, driving back and forth 100 miles each way. I'd train in the ring for 3 hours, drive 2 hours home and then go hit the weights for another hour. It was grueling, hard, painful and tiring but it had to be done. No one forced me to do it and I could quit at any given time. But, I had the drive and desire and discipline to succeed more than anything. I only wish I had done the same in school, but I was way too creative to be academic at that time. Well, I was still bodybuilding and now added pro wrestling to it as well. Both sports taught me the meaning of discipline because if you wanted to be a success at either of them you had to have extreme focus and not be side tracked. Friends and family at times would try to get me to deviate and maybe not train so much and offer me foods that were not on my diet. I think that misery loves company and no one wants to indulge alone. But, I held my ground and stuck to my training and diet and reaped the benefits of carrying my rewards around by way of my body and its sculpture. I knew at that moment I had come into a career that was going to last me a long time. In my mind, I was thinking, "If my dad could only see me now." He had no idea that I was headed in that direction. I even got my son, Shane, involved in the business. If you have the feeling that there is something out there that you really want more than anything, then you have to focus and discipline yourself to go after it full force. Don't be swayed by others who try to get you off track. Stick to your guns. Make a list every day with this goal as number one and do everything you can to reach it step by step. It may be gradually working toward that goal as I did in the gym but in time, it will pay off for you. Move forward today and you will never regret it.